In this tutorial you will learn the Play Framework by coding a real web application, from start to finish. In this application, we will try to use everything you would need in a real project, while introducing good practices for Play application development. This tutorial is also distributed as a sample application. 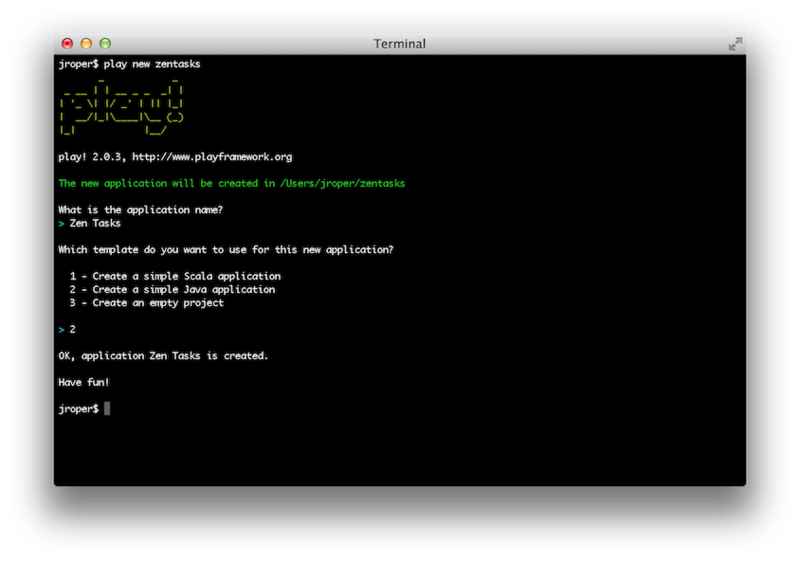 You can find the final code in the samples/java/zentasks directory of your Play installation. Installation is very simple. Just download the latest binary package from the download page and unzip it to any path. It will prompt you for the application full name. Type ‘ZenTasks’. It will then prompt you for a template to use. 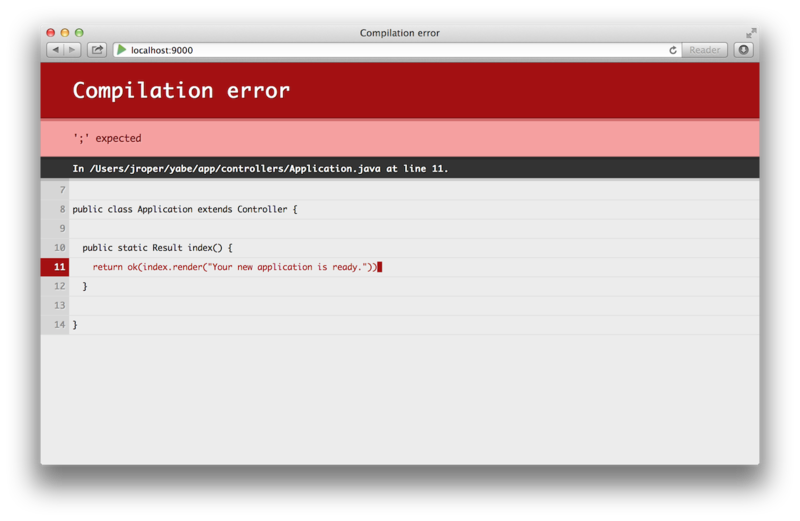 We are creating a Java application, so type 2. The @play20.welcome() directive is a call to the built in Play welcome template that generate the welcome message you saw in the browser. You can see that it passes the message parameter that our arguments directive declared earlier. The @main() directive is a call to another template called main.scala.html. 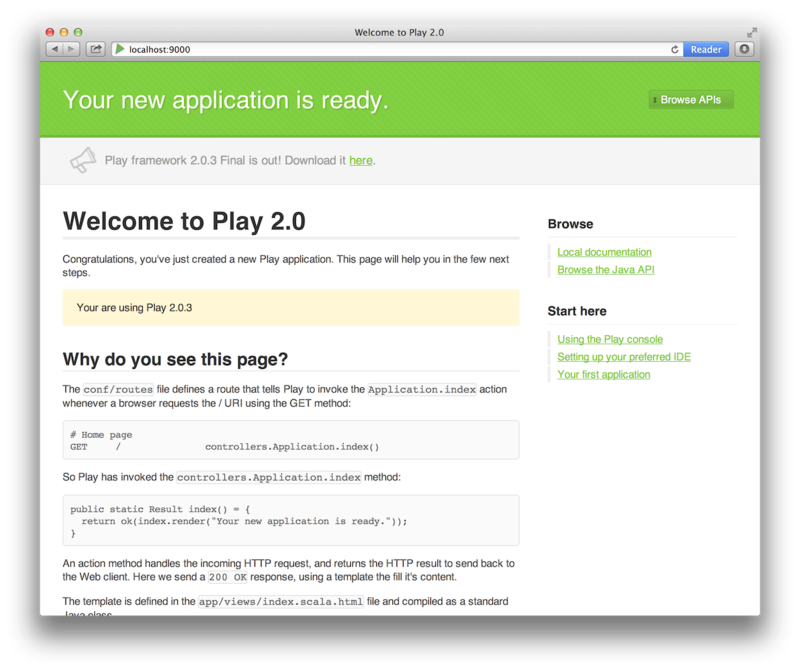 Both the @play20.welcome() and the @main() calls are examples of template composition. Template composition is a powerful concept that allows you to create complex web pages by reusing common parts. One more thing before starting to code. For the task engine, we will need a database. For development purposes, Play comes with a standalone SQL database management system called HSQLDB. This is the best way to start a project before switching to a more robust database if needed. You can choose to have either an in-memory database or a filesystem database that will keep your data between application restarts. Follow instructions to setup an in-memory H2 database on Accessing an SQL database page. You can easily set up any JDBC compliant database and even configure the connection pool, but for now we’ll keep it at this. Additionally, we need to enable Ebean. Define a default Ebean server following instructions on Using the Ebean ORM page page.